The country should embrace a welfare state which can be made possible by having a secure source of financing and tax reform, a forum was told. 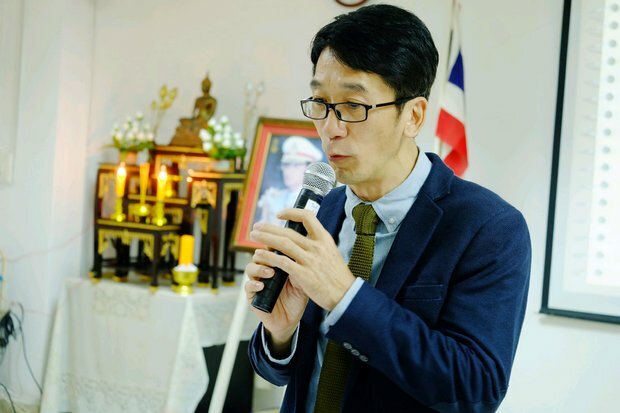 The Sunday forum on a welfare state which has equal benefits of everyone at Thammasat University discussed growing disparities in Thailand, which it said highlighted the need for a decent welfare state. Thailand is among countries with the widest wealth gap where 1% of the population holds more assets than those in the rest of the country combined, according to Thammasat vice-rector Prinya Thewanarumitkul. He said the gap was widening owing in part to centralised politics which restricts access to the corridors of power to people who are financially better off. The academic said he hoped the next government will try to reduce the disparities but not through populist handouts. He added the problem should be raised with solutions proposed by parties competing in the election. Input from the forum should be taken up as an election campaign issue by the parties, he said, adding the disparities can be eased by decentralising economic and political power and redistributing resources and education. Phasuk Phongpaijit, an economics lecturer at Chulalongkorn University, said the welfare state requires finances from secure sources. The tax system should also be reformed without the need for a tax hike. This can be done simply by plugging loopholes to prevent tax evasion. Tax collection should be streamlined and a progressive property tax regime be introduced, she added. South Korea has adopted effective tax reform which generated revenue for financing welfare state programmes including the stipends for low-income families and subsidies for the skill training. Once people were skilled, they could earn more income and pay higher tax, which goes into government coffers for sustaining the welfare state. At the same time, the patronage system which breeds inequality through preferential treatment of people as well as corruption must be tackled at their roots, Ms Phasuk said. Detrat Sukkamnerd, a lecturer at Kasetsart University, said a welfare state insures people against risks in their livelihood. It amounts to a worthy investment which people, particularly the middle class, should push for.